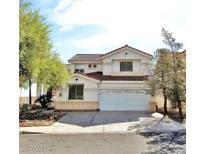 Find Green Valley, NV Homes for sale. View Photos, Maps and MLS Data Now! Backyard w/ pool, outdoor kitchen and lounge area, 3 car garage. MLS#2088418. Realty ONE Group, Inc.
Legacy Estates - Extremely well maintained house with bonus storage room off of the garage. MLS#2088866. Coldwell Banker Premier. Carriage Lane - 2nd bathroom has newly renovated large step in shower, separate water closet and double sinks. MLS#2088925. Property Management of LV, LLC. Emerald Valley - Big loft upstairs for family fun, IMMACULATLY TAKEN CARE OF, formal living and dining, 8' quartz island in kitchen, plantation shutters throughout, travertine flooring, travertine surrounding pool outside, 6" baseboards. ITS BEAUTIFUL. MLS#2088868. Century 21 Americana. Stephanie Carriage - Fully Finished garage. Come see this fantastic home! MLS#2088950. Elite Realty. Caparani - Welcome To This Grand Property*very Open And Inviting With High Vaulted Ceilings*formal Dining Room*separate Family Room With Cozy Fireplace Overlooking The Back Yard And Pool*eat-in Kitchen*large Upstairs Loft And Two Additional Bedrooms To Add To All That The Property Has To Offer*great Potential* MLS#2088451. Alajajian Properties. Warm Springs Reserve - ft. cul-de-sac lot,2 RV gates w/hookups & covered patio.This custom-built residence is as functional as it is beautiful. MLS#2088098. BHHS Nevada Properties. 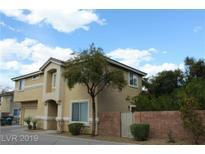 Creekside - A Real Gem With A Quiet Neighborhood Located In The Heart Of Green Valley! Close To Parks And Schools. MLS#2087763. Century 21 Americana. Champion Village - Two NEW 16 seer AC units! MLS#2087997. BluePrint Realty LLC. Westwood Village - ZONED CORONADO HS~gorgeous LUSH backyard~home situated AT BEND IN THE ROAD~3 car GARAGE~meticulously MAINTAINTED~ORIGINAL OWNER~covered PATIO~BEDROOM down~3 BEDROOMS UP~HUGE DEN UPSTAIRS, could be amazing MEDIA ROOM, OFFICE, PLAY ROOM~this home is FRESH AND CLEAN and move in READY MLS#2088060. Real Properties Management Gro. 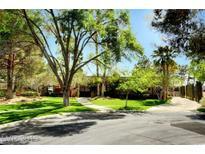 Westwood Village - Gorgeous bkyd, pool, spa & mature lndscp. No neighbors behind! MLS#2087691. BHHS Nevada Properties. Warm Spring Reserve - All Bathrooms are Fully Upgraded with Custom Cabinets and OVERSIZE WALK-IN STAND UP SHOWERS!! ! MLS#2088239. Platinum R.E. Professionals. Check out the spectacular walk in closet with a brand new custom cabinet MLS#2087777. Help U Sell Integrity RE. Champion Village - Entertainment "pool sized" bkyd w/built-in bbq,multiple covered patios & lush mature landscape.Features Upstairs Large Master w/huge closet,loft/bonus rm,Chef's kitchen w/granite counters,custom backsplash,maple cabinets,stainless appliances & eating nook.Sep Living & Family rm w/fireplace.Superb Henderson area near the HWY, shopping,dining, schools & parks/recreation.Must See! MLS#2085746. Coldwell Banker Premier. Spacious 2 story 5 bed 8 bath oversized kitchen, media room, 2 masters up & down with access to heated pebble tec salt pool/spa fully equipped office/bedroom downstairs with direct access to courtyard. MLS#2087418. Wardley Real Estate. Westwood Village - No need to look any further, this home has it all: 4th car/ boat garage, fun basketball court, full covered patio, resort style backyard w/ inground pool/spa, open & spacious floorplan, second family room upstrs, 5 bedrms (3 w/ private bathrooms), peaceful views from all windows, oversized lot, granite counters in kitchen w/ double oven, 20x20 ceramic tile flooring thru-out downstairs, Juliet Balcony. A truly unforgettable Home. MLS#2086303. Keller Williams Market Place. Park Brisas - The optional 4th bedroom was made as a loft. MLS#2086753. Signature Real Estate Group. Millwood Village - Ready for a new owner today! ! MLS#2087475. Presidio Real Estate Services. 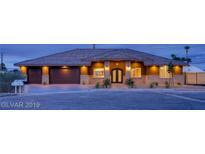 Stephanie Arroyo Grande - House is super clean & move in ready! MLS#2087200. Maxim Properties. Promontory Point - Exterior front and back have all new landscaping. This home is gorgeous! MLS#2086948. Silver State Realty & Inves. Sandalwood - Many upgrades completed in 2017 include RO system, Refrigerator, stove, dishwasher, dining room window, sliding glass door, stainless steel sink, light fixtures, bathroom fixtures, and complete front & backyard landscape. You will love no HOA. MLS#2087213. Signature Real Estate Group. Inverness - Private backyard with newly replastered pool and spa. Zoned for highly ranked schools. MLS#2087497. Elite Realty. American West Legacy - Freshly painted inside, Private backyard Oasis w/ Heated Pool and Spa, Covered Patio and much much more, A MUST SEE GV BEAUTY MLS#2087360. LIFE Realty.